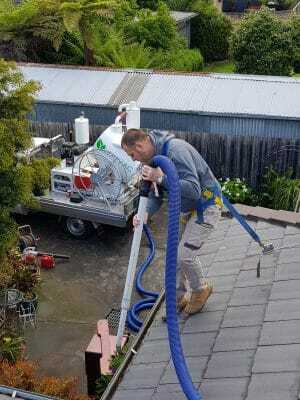 Need professional gutter cleaning in Frankston? LeafVac uses cutting edge technology with state-of-the-art machinery to clear leaves, dirt and debris from your gutters, ensuring your downpipes aren’t blocked and that water can flow freely. Having clean gutters provides more than just an aesthetic benefit – it ensures your gutters are working the way they were designed to, preventing water damage to your roof and protecting the foundation of your home. Gutter cleaning in Frankston is essential, as the sea breeze is constantly blowing leaves and debris towards your gutters. Frankston is home to many tall tree areas in all directions, including Oliver’s Hill, George Pentland Botanic Park, Frankston Nature Conservation Reserve, Langwarrin Flora and Fauna Park, McClelland Park and The Pines Flora and Fauna Reserve. While these leafy surrounds are beautiful, it means regular gutter cleaning is vital. LeafVac uses a heavy-duty vacuum excavator to give your gutters a long lasting clean that’ll protect your home throughout the seasons. Our professional, reliable service is completed by fully trained, experienced staff who are respectful of your privacy and we’ll even provide before and after photos for your benefit. For high quality gutter cleaning services in Frankston, call 0455-GUTTER today to book your job.